MEDINA, OH – Easter found the family at an uncle and aunt’s house for some great food and fun which of course included fishing. 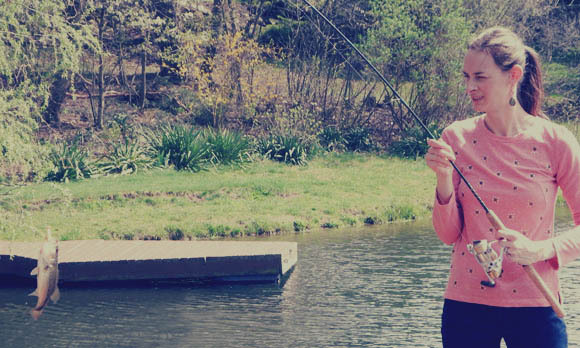 You just can’t live on a lake with the sun shining on a fine spring day and not fish. I did do some fishing myself, but found myself having more fun watching and taking pictures of others. I also spent some time helping the kids fish which is always a good time. 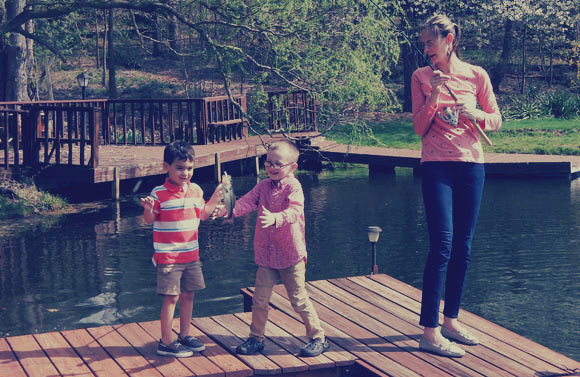 Who doesn’t love seeing the excitement on a child’s face when they catch a fish?! With the family getting out together, and the kids becoming marginally able to entertain themselves for brief moments of time – My wife has been able to make a few casts. I love seeing my wife fish. It reminds me of the time before kids when she was able to actually do something even anything for herself for two seconds. She is the perfect mom who sacrifices everything personal for her family, including myself, that require constant demands from her. All of that perfection of a person, with beauty beyond measure, has me feeling extremely blessed this Easter. Easily my best catch ever. The ‘apple doesn’t fall far from the tree’ does it? 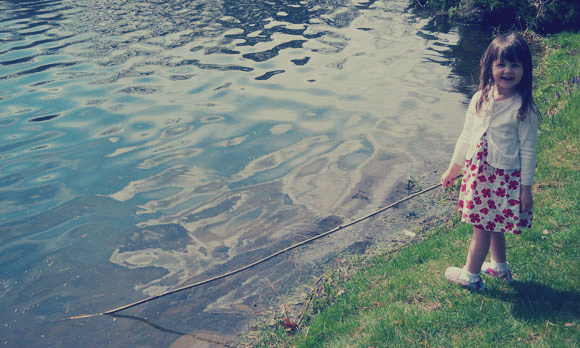 Even my daughter wanted to be around the fishing action. She channeled her inner Izaak Walton and opted for a long tree branch as her fishing rod. She didn’t weave horse hair for fishing line though, just swished the rod in the water to help stir up the fish. Even the best of days must come to an end, but the memories from this day are far from over.